Genuine OEM Konica-Minolta Waste Toner Container, 9,000 (black), 36,000 (color) page yield. Konica-Minolta part number: A06X010. Waste Toner Container compatible with Konica-Minolta magicolor 4650, 4690MF, 4695MF. Remanufactured Konica-Minolta Toner Cartridge, Cyan, High Capacity 8,000 page yield. Replaces Konica-Minolta part number: A0DK432. Color Laser Toner Cartridge compatible with Konica-Minolta magicolor 4650, 4690MF, 4695MF. Remanufactured Konica-Minolta Toner Cartridge, Yellow, High Capacity 8,000 page yield. Replaces Konica-Minolta part number: A0DK232. Color Laser Toner Cartridge compatible with Konica-Minolta magicolor 4650, 4690MF, 4695MF. 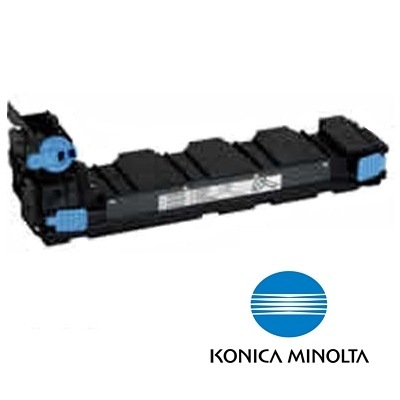 Remanufactured Konica-Minolta Toner Cartridge, Black, High Capacity 8,000 page yield. Replaces Konica-Minolta part number: A0DK132. Laser Toner Cartridge compatible with Konica-Minolta magicolor 4650, 4690MF, 4695MF.